Today is LibraryThing’s sixth birthday. 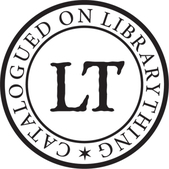 In honor of the event, we’ve got a nifty new piece of LibraryThing swag—a good old-fashioned library stamp, so you can keep track of the books you’ve cataloged, and show off a bit too. After much deliberation and hunting, we finally found a supplier that could provide what we wanted: a decent wooden stamp with a handle that we could sell for a reasonable price. The rubber stamp is mounted on maple wood, and we opted for the wooden handle, to give you that real library stamp feel. 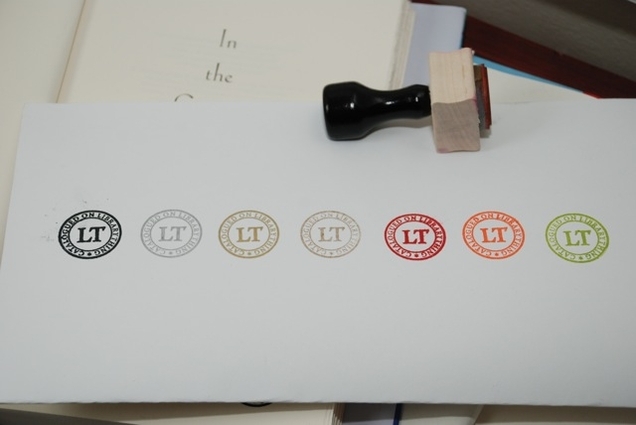 The impression is 1 inch by 1 inch— perfect for stamping on the first page, half-title, title page or wherever. We’ll be selling these at $9.95 apiece, plus shipping and handling. Come talk about the stamp. Those are fabtabulous! I can’t wait to order one for myself! Great idea. Happy birthday! Love the stamp. I especially love the “u”. Does it make loud noises when we stamp? Do we have to watch for Indiana Jones before we use it? Bless your souls, you spelled “Catalogued” correctly with a “u”! Congratulations! I’ll be happy to stamp my books with one! I’m so torn! 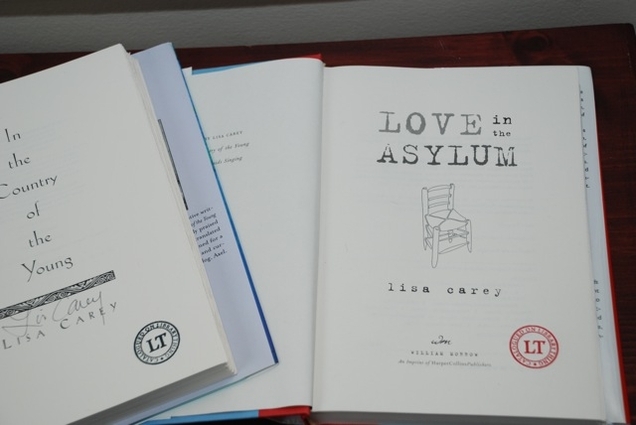 I love the idea but would be hesitant to stamp a hardback first edition. OK, I just tried to post the above one word reaction, which I believe says it all, and got a message that my comment was “a bit too short” and to please try again. So, what is the minimum allowable length of a comment, anyway? Good question, actually – I’m not entirely sure. And you ended up putting in the u, huh? It looks great. We did. Glad you like it! Happy Birthday, LT! You (like books and rubber stamps) are very cool. Maybe it being English… but why the fuss about the spelling of catalogue? Nice stamp by the way. Pity it defaces and devalues a book when you want to sell it. Humbug, Bah! Yes, I know, I can’t spell “it’s”. Am I the only one appalled by this stamp? Books can live for 300 to 400 years – people only 90 if they are lucky. In their time, books have enough enemies – time, temperature, sun, snacks – now they have officially sanctioned ink to deface the title page. What about laying in a book mark with the stamp on the bookmark? That way the next generation can find their way to their own database without the the ancestor’s curse. Ian, You SELL your books??? Sacrilege! Which may be the reason my brothers are taking bets on when the floors in my house are going to collapse under the weight of all my books. Congratulations, Library Thing !! I LOVE the stamp !! Great idea! I’m the librarian for our small church library and in the process of adding our books to LibraryThing. This little stamp will be a great second indicated of which books have been added. Thanks for a wonderful idea. Also love the new feature for circulation record keeping.